Pompei’s history starts in Rome in 1932, when cousins Ernesto and Luigi (originally from Fermo, in the Marche region) decide to open a shoe factory with the specific goal of supplying the capital’s theatres. Their first workshop is set up in Via Cavour, and in a few years its activity sees a staggering growth. The opening of the Cinecittà studios, in April 1937, is a turning point for the destiny of both Pompei and the italian movie industry. In the 50s, many american film studios move their business to Rome, and Cinecittà is aptly renamed as the “Hollywood on the Tiber”. The Pompei workshop works at full speed to satisfy the huge demand of shoes for the main casts and the hundreds of extras of many sword-and-sandals movies shot in Rome. Successful historical dramas such as Quo Vadis? (Mervyn LeRoy, 1951), Ben Hur (William Wyler, 1959) and Cleopatra (Joseph L. Mankiewicz, 1963) (the last two winners of an Academy Award for Best Costume Design) mark a golden age in the history of american cinema, and bring Pompei’s name to Hollywood. 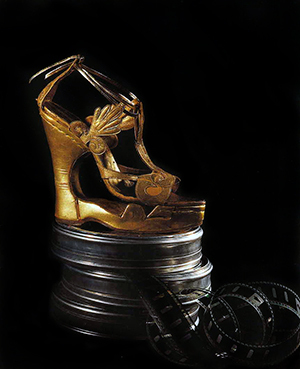 After several glorious decades, during which Pompei produces shoes for movies directed by Federico Fellini (Piero Gherardi wins the Academy Award for Best Costume Design in 1961, for La Dolce Vita), Sergio Leone and Franco Zeffirelli (another Academy Award, won by Danilo Donati for Romeo and Juliet, in 1968), in 1974 the company is passed in the hands of a new generation of Pompei cousins, Carlo and Laura, sons of Ernesto and Luigi, respectively. Since the beginning, their management is aimed towards the international market – between 1975 and 1980 the company opens new offices in London and Paris. The Carlo and Laura years are characterized by a series of successful collaborations with the world’s greatest talents in costume design. Several of these lead to an Oscar win – by James Acheson for The Last Emperor (Bernardo Bertolucci, 1987), by Franca Squarciapino for Cyrano de Bergerac (Jean-Paul Rappenau, 1990) and by Gabriella Pescucci for The Age of Innocence (Martin Scorsese, 1993). 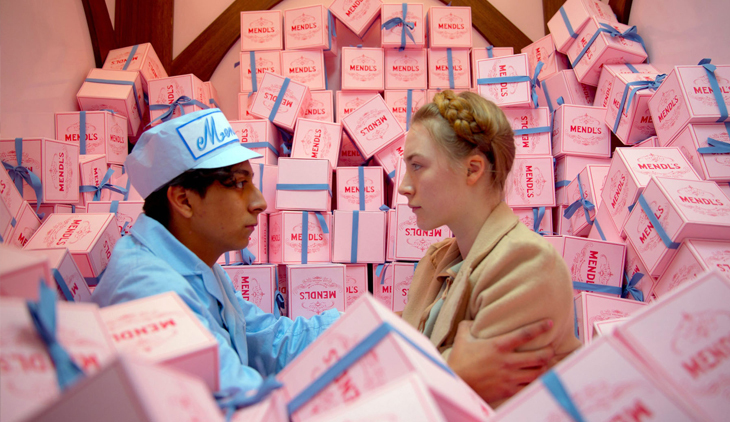 When, in the mid-90s, Laura decides to retire, Carlo is left alone at the helm of the company. During the following years, he brings Pompei to a whole new level of success, thanks to a number of collaborations with talented and well-known costume designers. Pompei’s shoes are featured in 11 Academy Award winning movies in 20 years – prizes received by Ann Roth (The English Patient, 1996), Deborah L. Scott (Titanic, 1997), Sandy Powell (Shakespeare in Love, 1998, and The Young Victoria, 2009), Janty Yates (Gladiator, 2000), Colleen Atwood (Chicago, 2002, and Alice in Wonderland, 2010), Milena Canonero (Marie Antoinette, 2006, and The Grand Budapest Hotel, 2014), Alexandra Byrne (Elizabeth: The Golden Age, 2007) and Jaqueline Durran (Anna Karenina, 2012). Today, Pompei’s shoes are featured in more than 50 movies each year and in acclaimed TV series such as Game of Thrones (HBO, costume design by Michele Clapton), Penny Dreadful (Showtime, costume design by Gabriella Pescucci), Black Sails (Starz, costume design by Marina Draghici and Tim Aslam), The Borgias (Showtime, costume design by Gabriella Pescucci) and TURN: Washington’s Spies (AMC, costume design by Donna Zakowska). Aside from the movie world, Pompei has long-standing collaborations with the world’s most important theatres, such as the Comédie-Française Theatre and the Opéra in Paris, the Royal Opera House in London, the Teatro alla Scala in Milan, the San Francisco Opera Theatre, the Metropolitan in New York and many more state theatres and opera houses in Italy and abroad.